Have you come across social media statistics and do not know how to make use of it for your business? It can be extremely helpful if you have not started benchmarking what you are doing on social media nor have identified your key performance indicators yet. 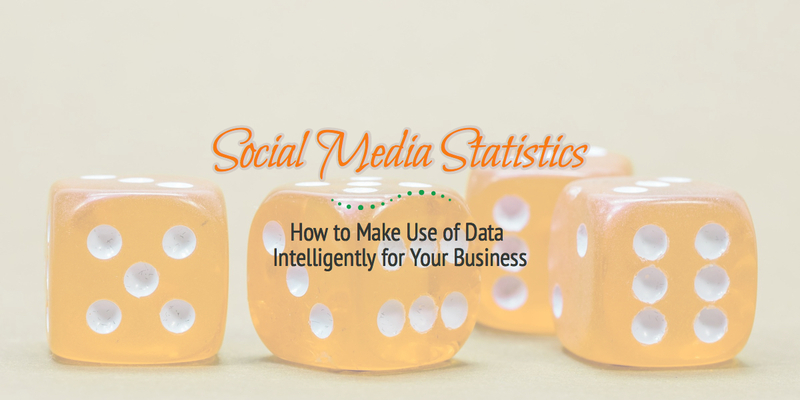 You can use the social media statistics as a tool. However, like any other tool, it is only good if you know how to use it. Use it as a starting point for your business if you do not have anything solid, and available data related to your niche because you just simply don’t have time to find them. Unless you are a data nerd, check only those that matter to your business and check the source/s as well if they are credible. Use any data with the thought that whatever the number may be it is not set in stone. Does your business REALLY have to be on social media? That depends on your answer to this question: Will you still be doing business in the future? 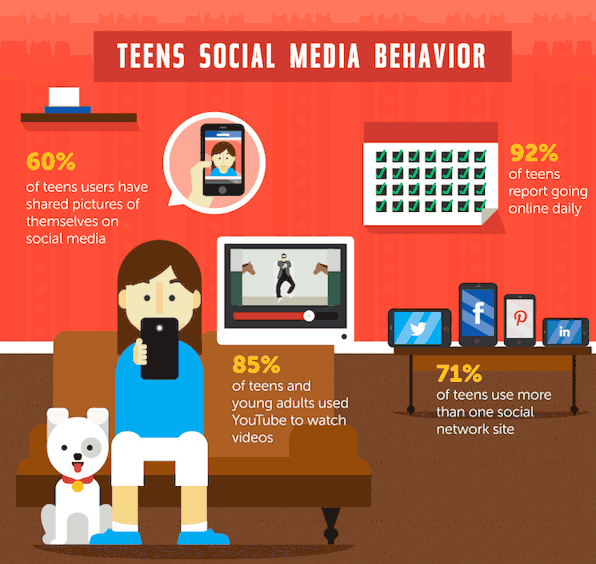 With the social media addiction that is happening and the behavior of those who are teens for now and will be your potential future customers, this social media statistics shows that social media is not going to let up. The next generation that will be buying your product is there now. They are VERY attached to social media as you can see in the infographic below. To not be on social media would be to your business’ peril. It is truly the wave of the future. It continues to evolve, but then, you know that already. Stop dragging your feet. Be there already! You want leads and sales, right? Then read on…. :). 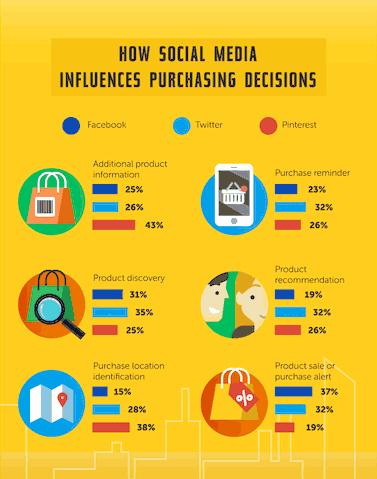 This type of social media statistics on how social media influences purchasing decisions is very interesting, IMHO. The following thoughts below does not cover everything about the preceding infographic, but my intent is for it to help you have an idea on what platform to choose and why. Pinterest almost beats both Facebook and Twitter combined.We recommend cross-checking this data with the platform’s analytics as an example.If you know that many of your clients, are not there then do not use it if you are pressed for time.Want referral traffic for brand awareness? There are many success stories about Pinterest being a great traffic driver.Test if it’s those stories would be true for your company. It may or it may not.Also, see if they are quality referral traffic? Meaning, are they the people you want to buy from you? And are spending time on your website to get to know your company? If you are just starting and would want to scale your brand awareness in social media, according to this social media data, Twitter beats both Facebook and Pinterest when it comes to product discovery.BTW, that’s where a material handling company discovered my business, and of course used one of our services. Did you notice that the above social media statistics represents marketing goals such as growing brand awareness, engagement and leads and more? That’s what you want, right? Do you have to be on every social media platform? There is no clear-cut answer to this. Take stock of your business resources and how much you want to commit to social media – that would include time, money and staff. If you don’t have enough of all of those, pick the one where MANY of your clients are active. Measuring it is the most solid way to figure out if it truly truly truly works for your business. You can’t get reliable data on a few try, however. This takes time and relentless consistency. Are the millennial your target audience? A lot of them are NOT on LinkedIn, and you know that, right? If your target audience is the male population, you would not want to hang out on Pinterest too much. I know there are many cute things there, but…. If unsure, IMHO, the best place to start is Facebook. Yeeees! According to Statistista, in January 2017, Facebook had 1.87 million active users compared to other 21 social media platforms worldwide. The business owners you are targeting are perhaps Moms and Dads who may be engaging with their family on Facebook. The good thing about that data is that tells you that you do not have to be on social media all day unless that’s your business job. If you do not know that yet the best times to post for your firm, I would recommend using the social media data like the above as your starting point.You can adjust best times that are unique to your business and for each of your specific audience later when you have reliable information from your own social analytics later. There are so many factors that could affect best times to post on social media such as season, time of day, the day of the week and more. 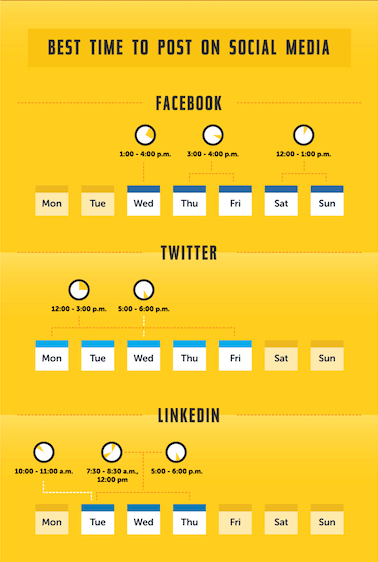 The schedule you created based on high volume of engagement could change. It is another moving target. If you are the type of business that has a broad range of target market, that would mean different social habits for each niche. Also, that would mean different best times to post for each unique audience. There you have it. My take on how to use data out there. For your business, what do you typically look for when you come across social media statistics like this? If you need help with yours, we are here to help! Call or contact us. Social media statistics and infogaphic is courtesy of this company.